I don't know about all of you but one food product that I absolutely love is Innocent veg pots. 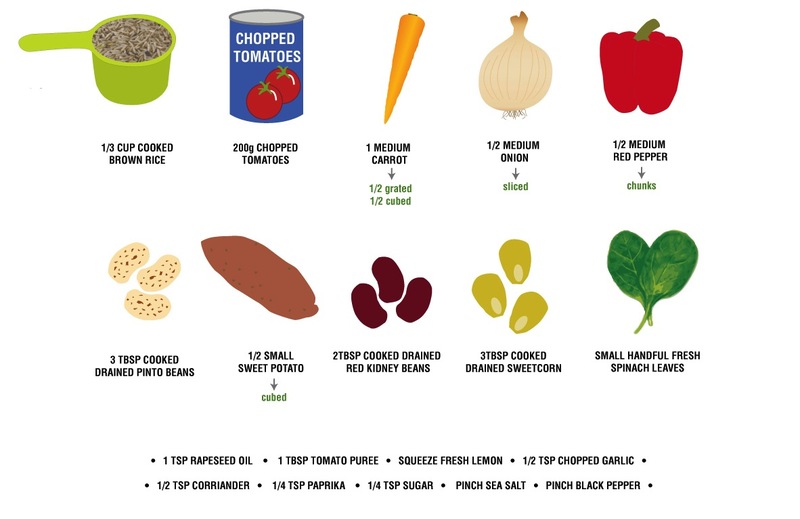 For those of you outside the UK, these are little ready meal pots made with fresh veg, wholegrains and herbs and spices; they all contain at least 3 of your 5-a-day and are low in fat whilst being high in fibre and protein. They are suitable for vegetarians and contain no artificial colours or flavours; all these factors, added to the fact that they only take around 4 minutes to heat up make them ideal for a speedy, healthy lunch or dinner. As much as I love these veg pots though, there are two problems: you can only buy them in certain shops in the UK (so I can't get them here in Cyprus!) and they are quite expensive at around £3.90 each; not ideal for my student budget! To fix this, I came up with a solution: make my own! The Innocent company list all of their ingredients on the packaging of each pot so I took inspiration from these along with my own little twists to create something that tastes almost the same as the original. 1. Heat oil in a wok/ pan. Add the cubed carrot, sliced onion, red pepper chunks and sweet potato chunks. Stir-fry over a medium heat for 5-10 minutes until browned. 2. Stir in the chopped tomatoes, pinto + kidney beans, sweet corn, grated carrots, tomato puree, garlic, lemon juice, corriander, paprika, sugar, salt and pepper. Bring to boil then simmer for 5 minutes. 3. 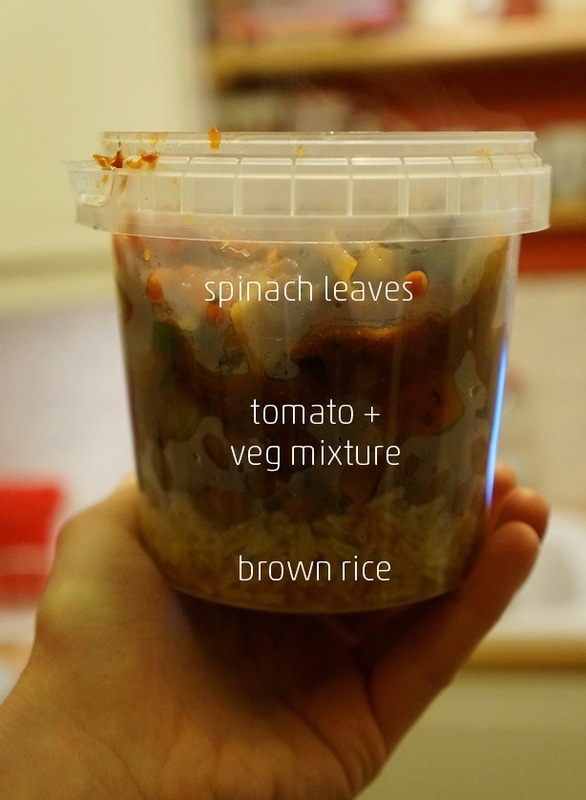 If you want an authentic 'veg pot', put the cooked rice in the bottom of a microwavable pot. Pour over the tomato + veg mixture and top with the spinach leaves. 4. At this point, the veg pot can be left to cool and placed in the fridge for up to three days. To eat straight away, put in the microwave for 2 minutes, take out and stir then place back in the microwave for a further two minutes. Step 4 can of course be skipped and the final ingredients can just be added to the wok but where's the fun in that?! + Plated up like this! Nutritional Info: approx. 300kcal, 10g protein, 6g sugar, 5g fat (0.5g sat fat) + 25g fibre. This is only one of the 8 veg pot varietys so let me know if you would like the recipe for any more and I'll give it a go. The recipe above is to make one veg pot single serving but the quantities can be easily adapted to suit more portions! And for a more substantial meal, why not have this as a side to baked fish, grilled chicken or cooked prawns? 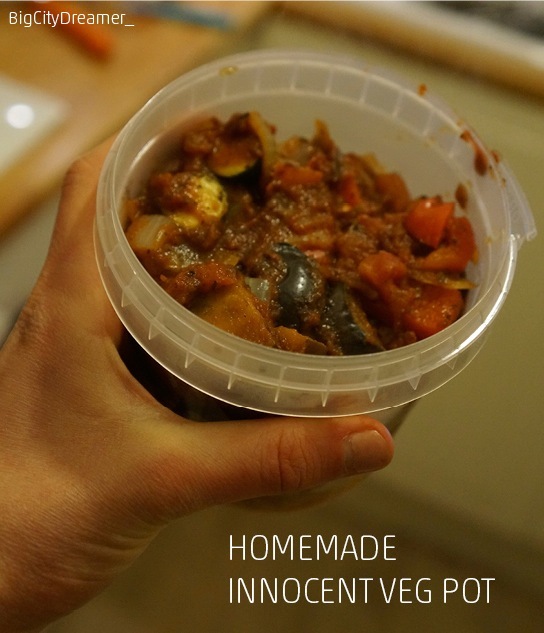 Have you tried Innocent Veg Pots before? What's your favourite flavour?